‘Aldous’ Huxley is Paddy Power’s resident design-tragic and multi-faceted dogsbody, with fingers in as many pies as Mick Jagger on a boat cruise off Cap d’Agde. Truly an indispensable member of the PP team, he is known for his sweet fades and sharp, pastel-coloured shirts. Paddy Power’s Cheltenham Lucky 7: Your final chance to win a share of Five Grand! Paddy Power’s Cheltenham Lucky 7: Your third chance to win a share of Five Grand! Paddy Power’s Cheltenham Lucky 7: Your second chance to win a share of Five Grand! 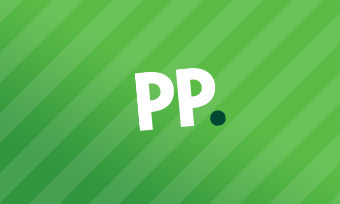 Paddy Power’s Cheltenham Lucky 7: Your free chance to win a share of Five Grand! We’re all agreed that Alexis Sanchez is a massive waste of money, but this takes the p*ss! Cheltenham Day 4 tipster round-up – Find out who everyone is backing in one handy guide! Cheltenham Day 3 tipster round-up – Find out who everyone is backing in one handy guide! Cheltenham Day 2 tipster round-up – Find out who everyone is backing in one handy guide! CHELTENHAM DAY 1 TIPSTER ROUND-UP – FIND OUT WHO EVERYONE IS BACKING IN ONE HANDY GUIDE! INTERACTIVE: How much are you worth in today’s transfer market? INTERACTIVE: Generate your own generic footballer social media post! Fan Denial: Featuring Ian Wright, ghosts and a Philips Wet and Dry! Fan Denial: Featuring Diego Costa, Patrick Stewart and Love Island! Look at this ticker showing how much Neymar is earning, and make yourself feel utterly miserable! Sevilla’s Ben Yedder slaps down Arsenal twitter troll after Emirates Cup s**t show. Bringing up the rear: Can you identify the 10 bottoms in our cheeky quiz?